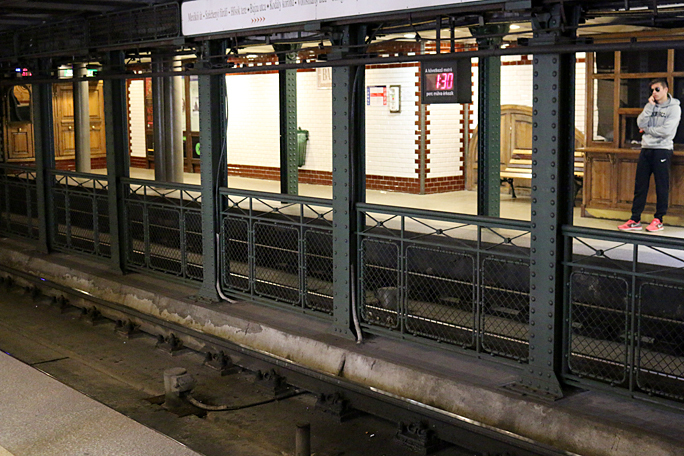 As the oldest line of the Budapest Metro subway system, Line 1 has been in continuous operation since it was first inaugurated on Saturday, May 2, 1896 — with only the underground railway system in London being in operation longer. 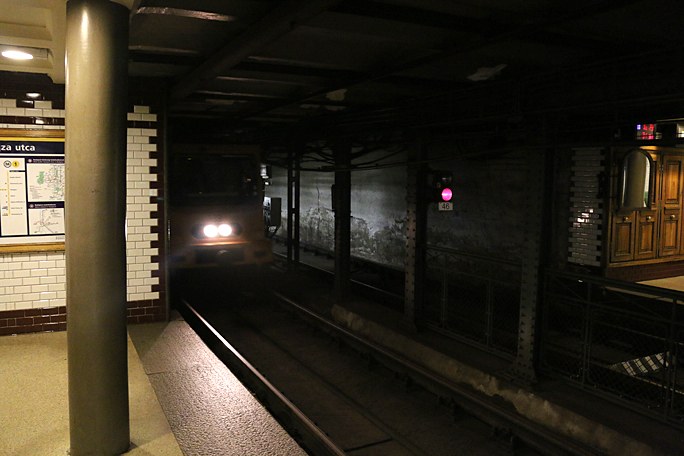 The need for cost-effective and efficient transportation led to me experiencing rides on subway and rapid transit systems around the world — including but not limited to those which serve Kuala Lumpur, Chicago, London, Seoul, Boston, Paris, Buenos Aires, Tokyo, Madrid, San Francisco, Shanghai, and Washington in the District of Columbia. 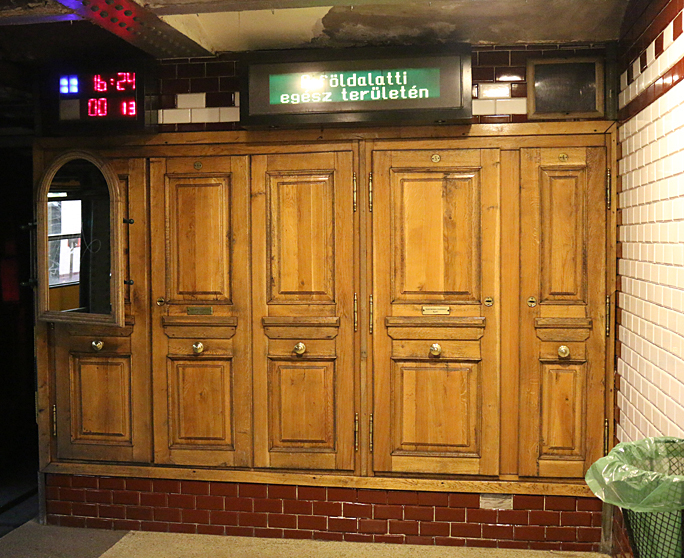 I decide to exit the train at Bajza Utca station to notice and admire the ornate architecture — including the tiled signage indicating the identification of the station. 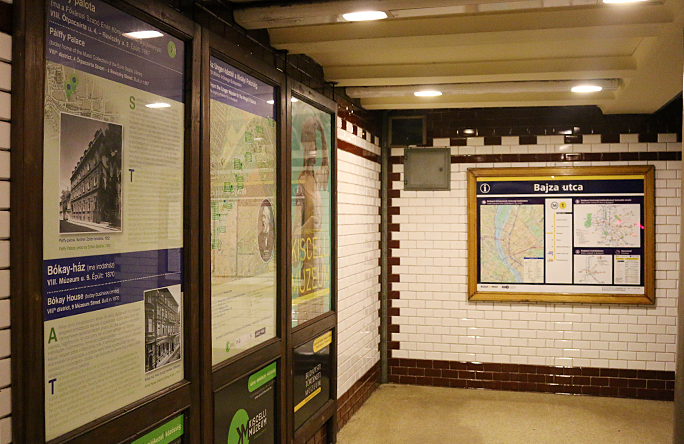 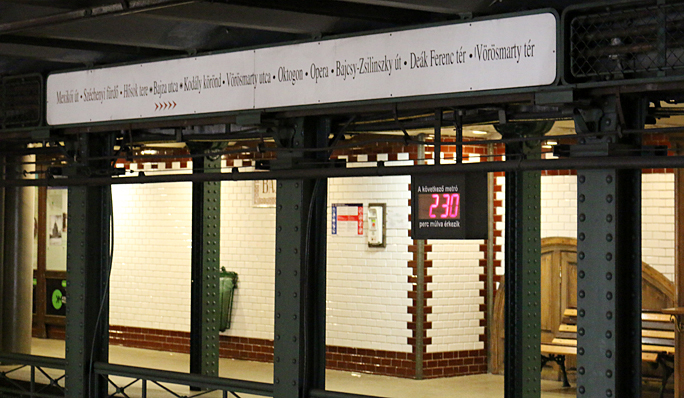 Similar to the subway stations in New York, glazed white tile decorates much of the walls of the station. 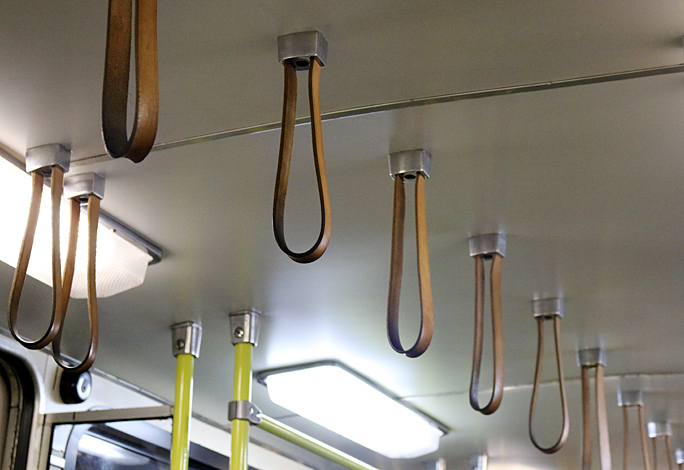 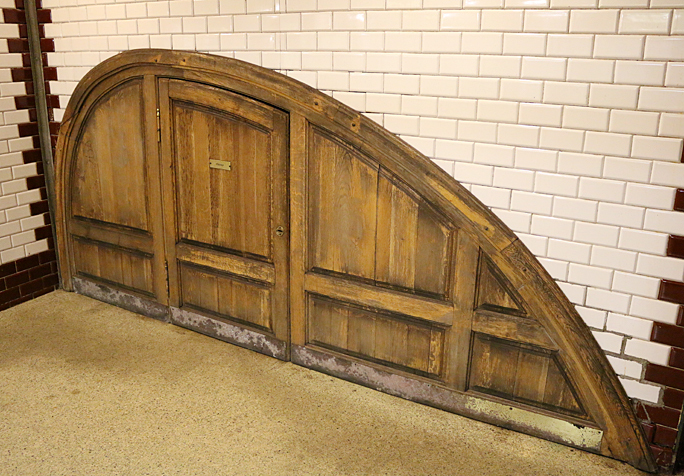 At one end of the Bajza Utca subway station was a set of five wooden doors which seem to be for storage of some type; and it was complete with a mirror. 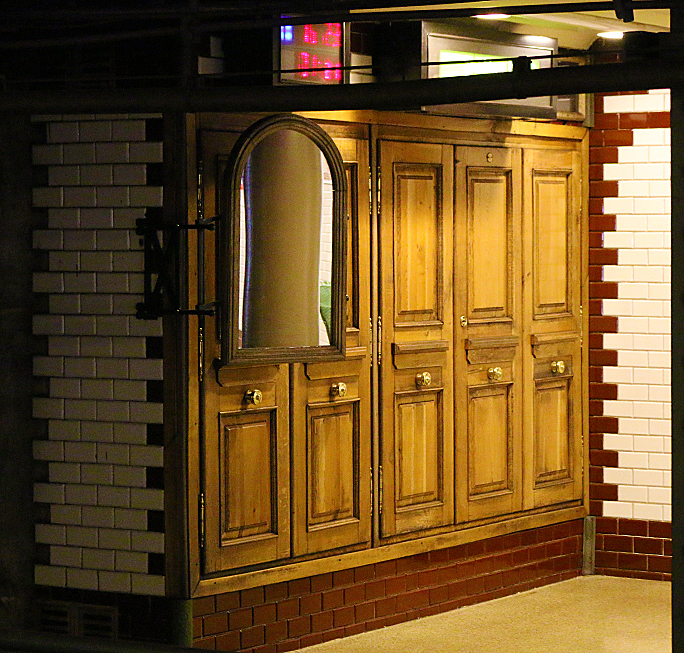 It looked like a set of built-in wooden cabinets which one might find in someone’s home. 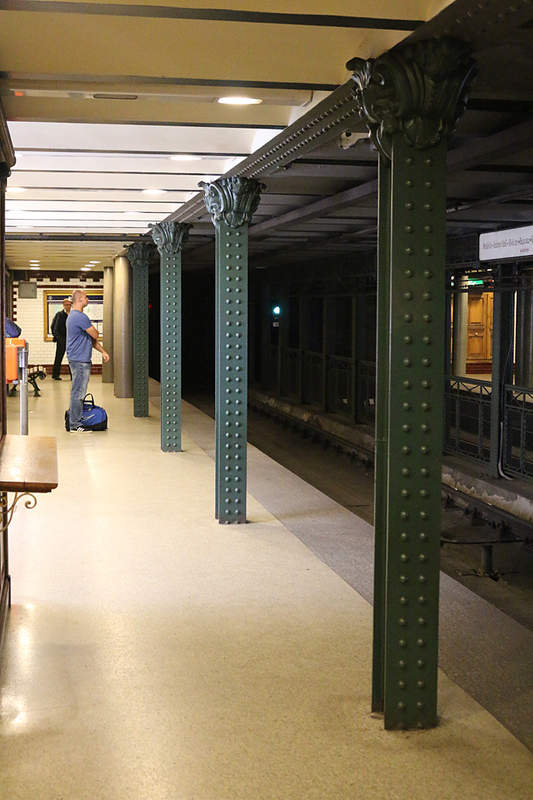 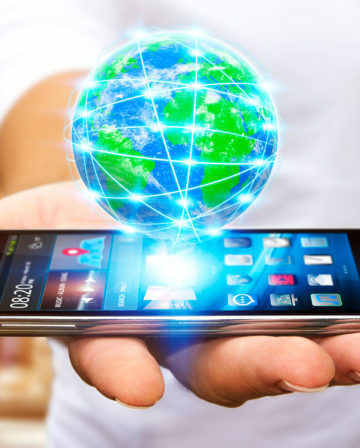 While not immediately, before the gentleman using his mobile telephone on the platform on the other side of the station realized it, the next train arrived — along with passengers who were using their portable electronic devices. 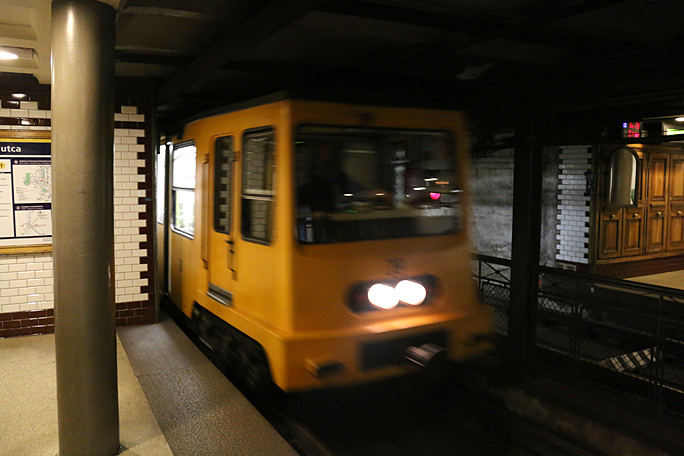 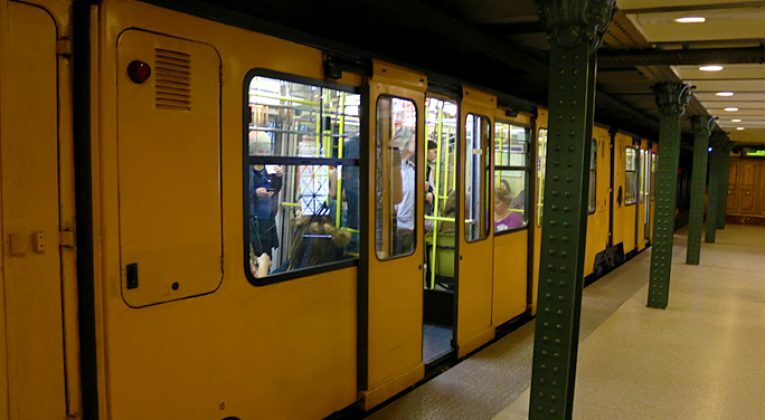 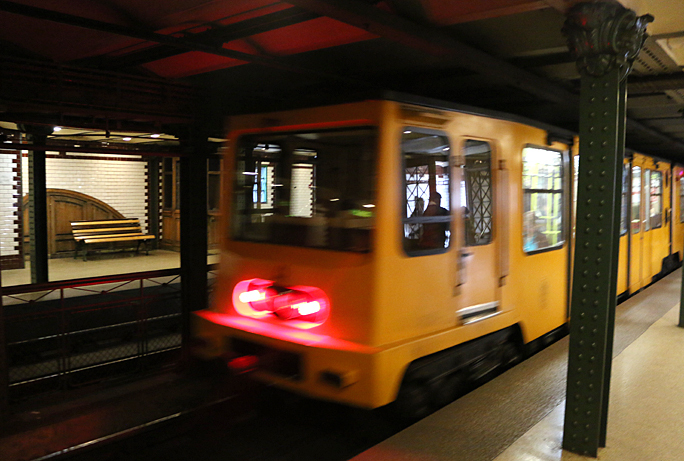 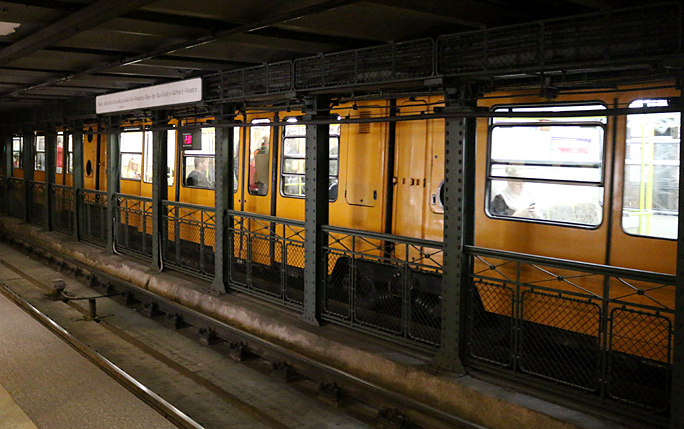 A train on Line 1 approached the Bajza Utca station and and slowed down to stop at it. 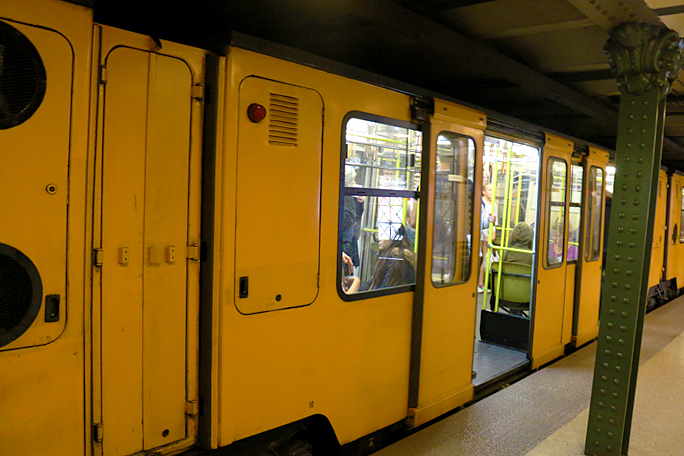 There were only three cars per train. 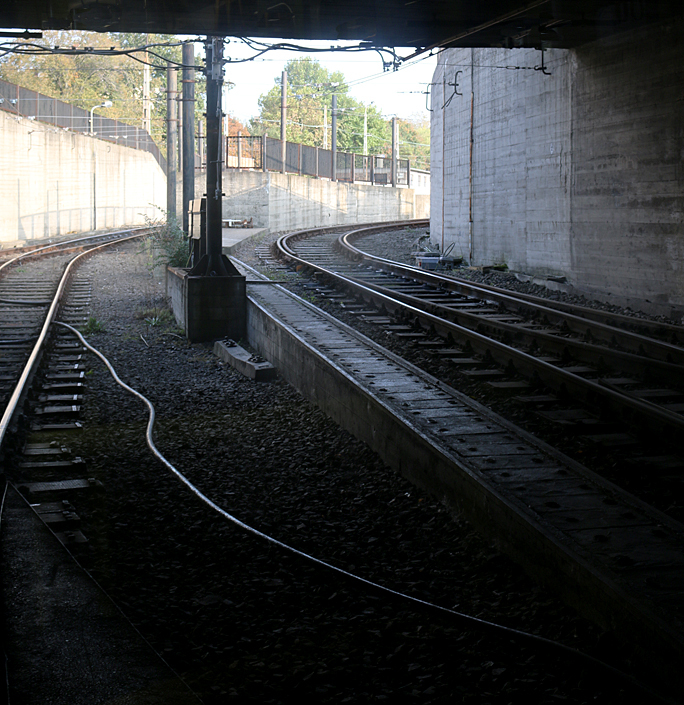 It was time for me to board the train and depart while the doors were still open. 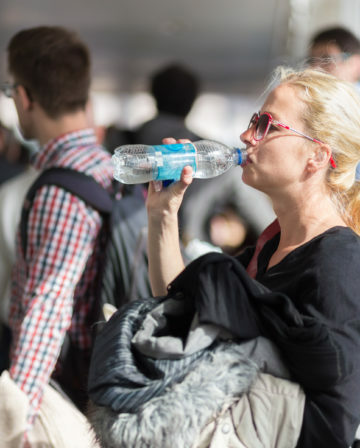 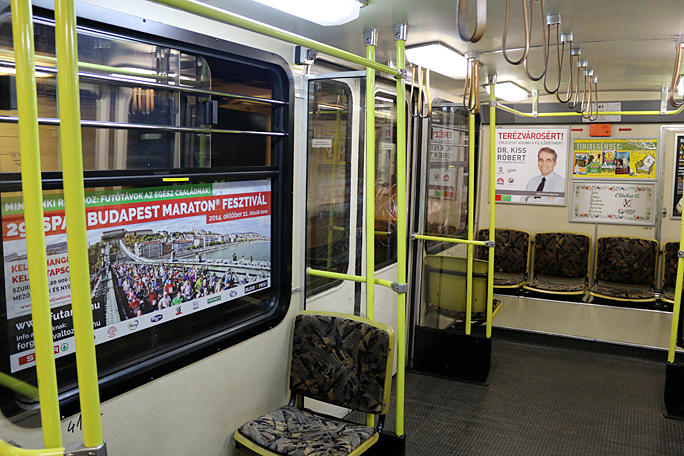 The cost for a single ticket is 350 Hungarian forints, which is approximately $1.25. 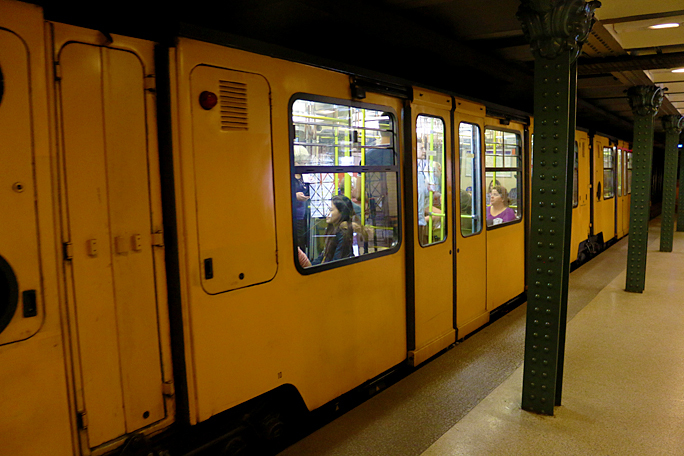 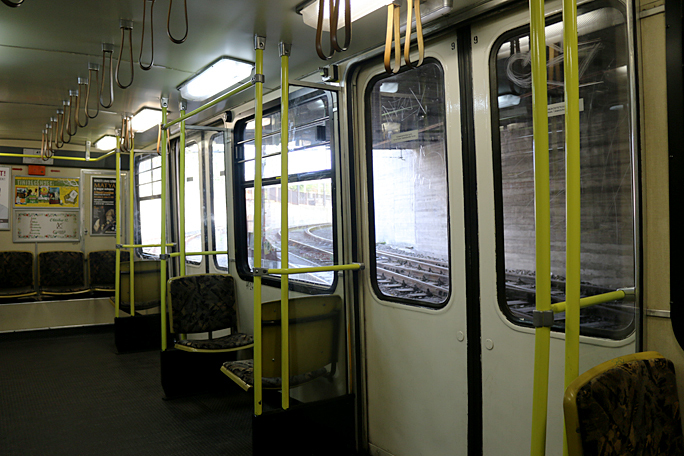 The subway system in Budapest is inexpensive and rather efficient — definitely a recommended way to get around town. 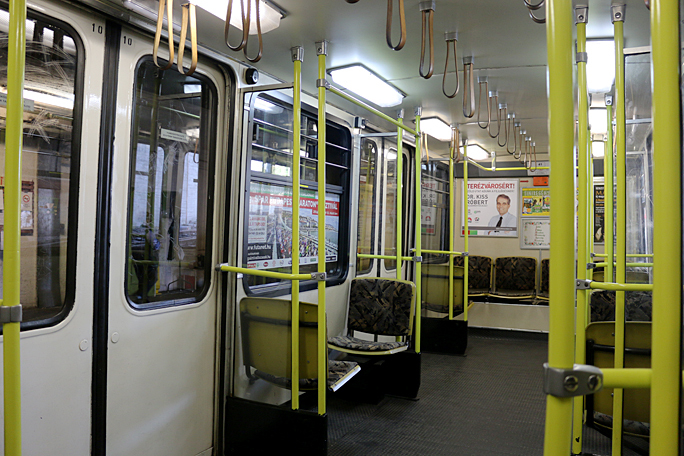 I also rode on Line 3 to and from the international airport which serves Budapest.